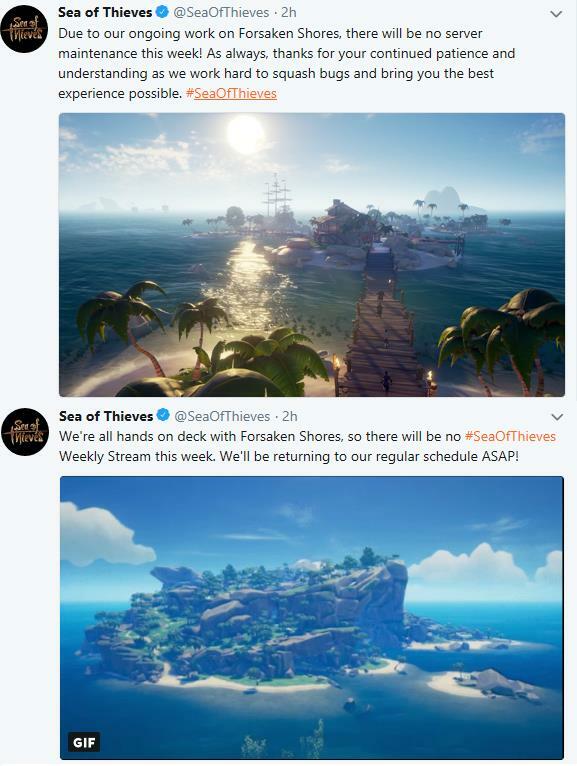 What is up with that update to Forsaken Shores that Sea of Thieves players have been waiting on? Well, its been delayed...again, and is now slated top be released on 09/27/18 instead of tomorrow (09/19/18.) 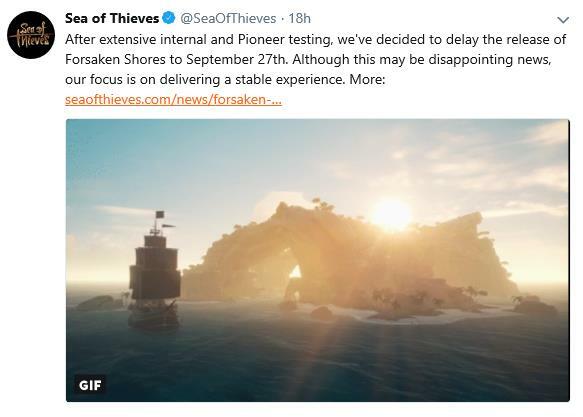 The official announcement of the delay is stating that they do not want to release until they are able "...to deliver a stable, polished and bug-free experience and we feel that the extra week of development will enable us to do this." So take what you want from that, but the delays are likely tied to that very sentence. Not only has the release been delayed, but due to the scheduled server maintenance, as well as the weekly stream have been put on hold as the Rare team tries to resolve whatever the problem is that is causing the release to be delayed.